Hyundai Motor’s design talent was recently recognised with three awards by the judges from the International Design Excellence Awards (IDEA) 2018, one of the world’s three grand international design prizes. Hyundai’s mid-size Santa Fe SUV, the Nexo fuel-cell SUV, and Kona subcompact SUV have received silver awards in the automotive and transportation category, said a statement from the company. The Industrial Design Society of America (IDSA)’s prestigious award is one of the three most renowned design awards in the US, along with the ‘iF Design Award’ and the ‘Red Dot Design Award’. The award selects winners of 20 categories, including automotive and transportation, consumer technology, and service design, based on standards such as design innovation, user experience and social responsibility, it said. The three silver IDEA Design awards won by Hyundai Motor are the most prestigious global design awards won in Hyundai’s history for the automotive and transportation category. In 2016, the Elantra received a bronze award, it added. “We expect this recognition will help inspire continuous improvement in design performance for our company,” he added. Hyundai’s mid-size SUV, Santa Fe, redesigned and launched as the fourth-generation model globally in February and in the Africa and Middle East region in early September, features a wide and stable stance, Hyundai’s signature Cascading Grille, and a Composite Light design comprised of LED daytime running lights positioned on top of the LED headlights, showcasing grandiose and dynamic exterior design. 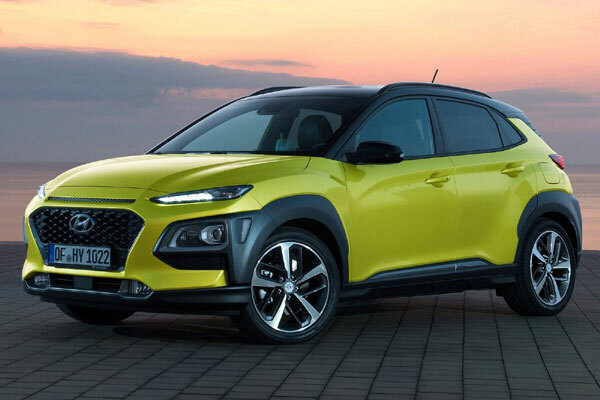 The expressive and powerful new Kona, introduced to markets in the region in August, also adopts Hyundai Motor’s new family identity. The future-oriented composite light design and rugged bumper design ‘Armor’ together deliver a confident, progressive appearance with a sleek, sharp silhouette. Kona has swept all three worldwide renowned design awards this year. The next-generation fuel cell vehicle, Nexo, has a future-oriented design that showcases its advanced capabilities, and thoughtful features like a horizon positioning lamp showing its future and current visual boundaries, and hidden rear wiper that fits in with the car’s clean image. Nexo also received the prestigious Red Dot Design Award, earning recognition for its design excellence.